Chowdah in Yo FACE on Gothtober the 10th! 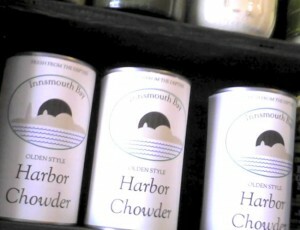 Innocent looking Cans of Harbor Chowder sitting in the cupboard. Joining us this week in a thoroughly good-natured gothic way are artist animator beer maker musician superstar necromancer warlock magician wizard kitty cat dragon dark force bearded sorcerer pals Ben and Federico! Federico is making a drawing a day for the entire month of October, in case you need more than one countdown in your life, check it out. Having just suffered through a mighty mighty bout of food poisoning, dear reader, I can attest that this Gothtober piece has been the most difficult one for me to post yet. Normally chowder doesn’t really sway my countenance, but this week was a whole other matter. 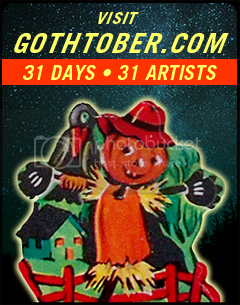 Beware of what you eat, it can really change your day, or your week, or… oh just go click on PUMPKIN #10 of Gothtober and don’t say I didn’t warn you!